It’s the season to be jolly and all over the Caribbean Christmas trees are arriving in cooler containers, ready to be purchased by happy islanders everywhere. Here on St. Maarten the Christmas bug bites around the first week of December, which coincides with the first arrivals of Christmas trees. Walking into a supermarket in December means passing through the tree vendors and the ever so delicious fresh smell of pine. Of course we all have to go through extreme measures just to keep that tree from turning brown before Christmas day. Water in the tree-stand with a little bit of ice is the preferred method for tree survival here in the Caribbean. How Saint Nick makes his way to our little island abodes every year is a mystery to me, since we all seem to lack a very important part of the whole Santa shindig: the chimney. Regardless, the presents are always there come Christmas morning, right next to the bottles of Guavaberry and Lime Punch dropped off by neighbors, friends, and family. Synonymous to Island Christmas is food. Lots and lots and lots of it. Other than that it is not very different than Christmas anywhere else in the world, I suspect. Christmas day is usually spent with family and good friends, opening gifts with music in the background, eating all of the great food, sometimes dancing but always drinking. There’s always lots of drinking. My current home celebrates Christmas with food and drinks in the plentiful, very loud chatter and laughter and a tv that is always blaring some kind of Christmas movie in the background. The table is laid out with the usual turkey, baked ham, macaroni pie, potato salad, freshly baked rolls, rice and pigeon peas, and at least one of three puddings: corn pudding, blood pudding or conch pudding. Dessert is showcased on another table: guava tarts, coconut tarts and pineapple upside down cakes. Homemade punches such as Guavaberry or Lime after dinner make for a perfect end to a wonderful day. Christmas in Curaçao: there is just nothing like it. At least there isn’t for me. Curaçao is and always will be home, it’s where my roots are. Tradition on Christmas day here starts with the “Misa di Madruga” or Midnight Church on the 24th going on the 25th. This special mass starts at midnight and lasts for about an hour to an hour and a half. Being so close to Venezuela Curaçao has come to adopt quite a few of their traditions like celebrating “Noche Buena” or the Good Night on the 24th and playing Aginaldo all around (a folk genre music from Venezuelan that can be compared tp an extent to carol singers) . Being part of the Dutch Caribbean, we have also adopted some Dutch traditions like eating Kerstbrood or Christmas bread for breakfast on Christmas day and celebrating the now very controversial Sinterklaas. As for the food: The table will be decked with baked ham, baked chicken, chicken or tuna salad, pickled salmon, ayaca (dough stuffed with stew, raisins, olives and capers), pan de jamon (bread stuffed with ham, raisins and olives) and sult (pickled pig ears). According to my Belizean friend Vivian, a traditional Belizean Christmas dinner looks a lot like the American version of the Thanksgiving dinner. There’s the turkey, the bread stuffing and the cranberry jelly. But also present on any dinner table in Belize on Christmas day is rice and peas, potato salad and fried plantain. After dinner everyone sips on Rumpopo, Belize’s version of eggnog. Christmas in Trinidad and Tobago is like its people; Festive. According to my Trini friend Tricia, Christmas starts with the traditional music for this time of year, the Christmas Parang or the Soca Pang. A Trini version of carolers will go from home to home singing popular Christmas songs in these genres. As for the food, there is pastelle, black cake, sweet bread and drinks like sorrel wine (a Caribbean fruit), Ponche Crema (the Caribbean’s version of Baileys), ginger beer and home made wine made from sugar cane and rice. Trinidadians are known for their parties and it is no wonder that Christmas is one of the biggest celebrations of the year. According to my Puerto Rican friend Patrick, Puerto Rico also celebrates the more latin traditions like Noche Buena and the day of the Three Kings. No Noche Buena Dinner is complete without Lechón or roast pork, some will do a whole pig if possible. Then there are pastéles (pies), arroz con gándules (rice and beans), Escabeche (boiled bananas with chicken gizzards), blood sausage, a coconut pudding and of course Coquito, the Puerto Rican version of eggnog. According to tradition, children don’t get to open their presents until Three Kings Day on January 6th, when you’re supposed to leave straw or grass outside for the kings’ camels and horses the night before. This tradition is still practiced but the newer generations have adopted the more American way of opening gifts on Christmas morning. By far one of the coolest Christmas traditions in the Caribbean is St. Vincent’s Nine Mornings Festival. 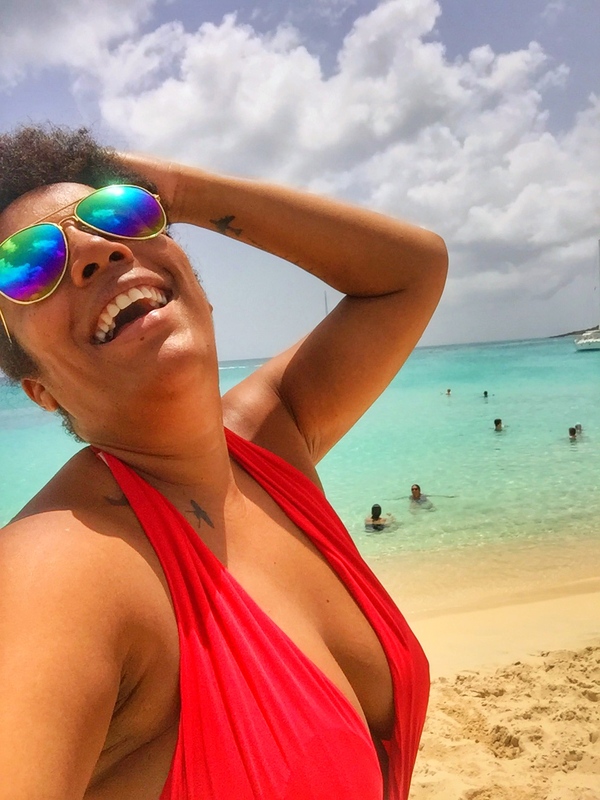 My long time friend and fellow blogger Cherise told me about this big tradition on her home island of St. Vincent where locals start partying 9 mornings before Christmas with lots of food, drinks and music. The whole thing is just like one massive street party with everyone out with little stalls offering food and drinks for 9 days leading up to Christmas. The idea behind the Nine Mornings Festival is that you go to the beach after early mass then head into town to catch whatever concert or recitals there may be. It slowly grew into a full on street party and the rest is history. I don’t know about you but St. Vincent is where I want to spend Christmas next year. The Caribbean is a very unique place that takes on traditions from all around and mixes it with its own. With so many different influence from other islands and main lands, it is not strange that everyone in the Caribbean celebrates Christmas differently. The above is based on my own personal experience or from that of friends from the different islands discussed above. Whichever way you celebrate your Christmas, I wish you the best for the holidays. Not all of us get to spend it on a Caribbean island but who knows, maybe after reading this you too will decide to head on to the Caribbean for some island cheers. Really nice Christmas post and photos ! Thanks Neil and thank you for the lovely pictures. A very Merry Christmas to you and your family, thanks so much for your interesting and very informative blog, looking forward to more in the coming new year. Be Blessed!!! Thank you, Gilda. Big island hug to you. Happy holidays my island girl-friend! Miss you and see you hopefully next year again! Xmas celebrated here very casual with dogs and cats surrounded, a good bubbly and a very happy mood! The “other” island girl … luv! Lela, wish we were celebrating this island Christmas together. Miss you, crazy chick. True to form my friend, a witty but factual description of our Caribbean Christmas traditions. We may not have the chimney, but we have Sun, Sea and Sand, very hot commodities around this time, as well as food, drinks and music galore. Bon Pasku dushiii!!! !